Pixel art in games is simultaneously fetishized over for the nostalgia inducing powers and treated with disdain for not adhering to modern “graphical” standards. Graphics and art style are certainly not the same thing, but the fact does not stop the myth from persisting. So much so that it’s worth briefly diving into a rudimentary description of the difference. Graphics are the computer generated visuals of a video game, what we see displayed on screen. Notably, processing power and technology determine the visual fidelity and complexity of what can be rendered on a display. A game’s art and aesthetic styling of the graphics or visuals on screen. Art style in games is not necessarily beholden to processing power. Yes, hyperrealism and Pixar quality animation are difficult to achieve because of technological barriers, but style is only limited by the artists creating the art. Across forums and Steam reviews the contention is held that using pixel art is lazy, cheap, or doesn’t take advantage of modern day technology. The first two points are easy to dispute with a single request: go make some good pixel art. It’s time consuming (labor + time = expensive) and difficult to do—from simple designs to high level pixel art like Hyper Light Drifter’s (screenshot above). The argument that pixel art games don’t take advantage of modern technology is like disparaging a filmmaker for using black and white instead of color. The look of a film or game is an aesthetic choice. Do all black and white films look good? No, but some like Nebraska can stand toe to toe with color films. There is no inherent superiority in a visual style. The effect and talent is left to the skill of the artist. 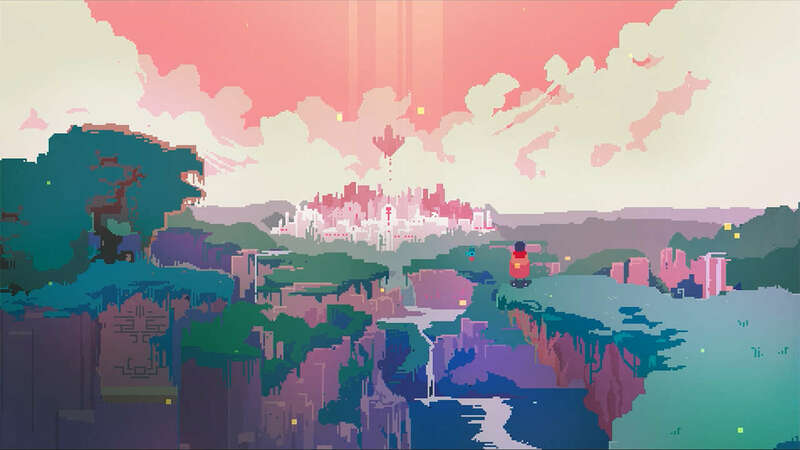 Hyper Light Drifter for instance has arguably better art than some 3D “realistic” AAA games: color palette, originality, and atmospheric sum of its aesthetic. All that aside, the biggest problem with any attack on the use pixel art is that the player undermines the creative decisions of the artists, game makers involved. Pixel art is a creative and aesthetic choice that a multitude of indie game devs have used to compliment gameplay and generate a specific feel (looking at you, TowerFall), a close enough equivalent to black and white in film. Don’t personally like pixel art? That’s completely fine. But pixel art is as valid of an art style as hyperrealism or a cell shading. Don’t think the pixel art is up to par? Then critique the specific pixel art itself, not the artist’s creative decision.